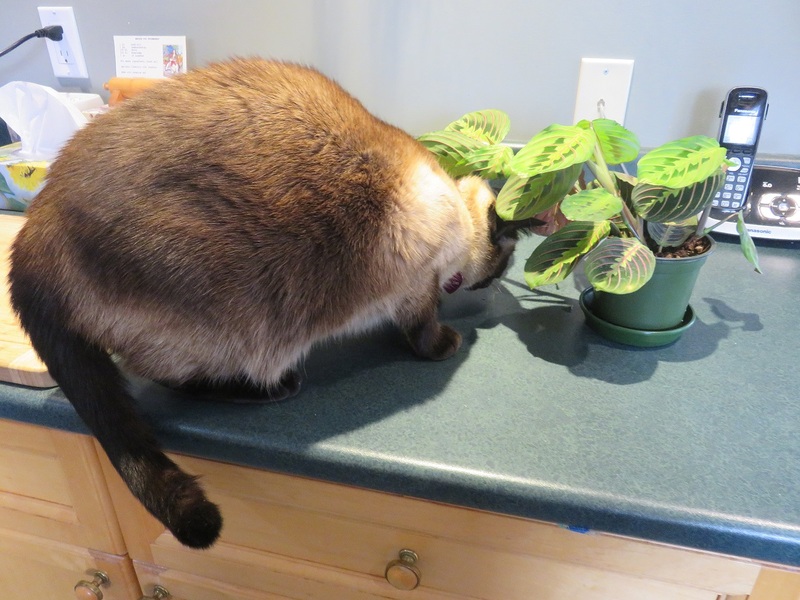 Shoko get away from the prayer plant. Mom doesn’t want teeth marks in her new plant. Just examining it for bugs. Some of these bugs can be pretty small and annoying. Like yourself, perhaps? That’s not funny Kali…..I’m being helpful. That’s true Shoko and I’m sorry for my lack of grace. I must’ve been in your company too long. 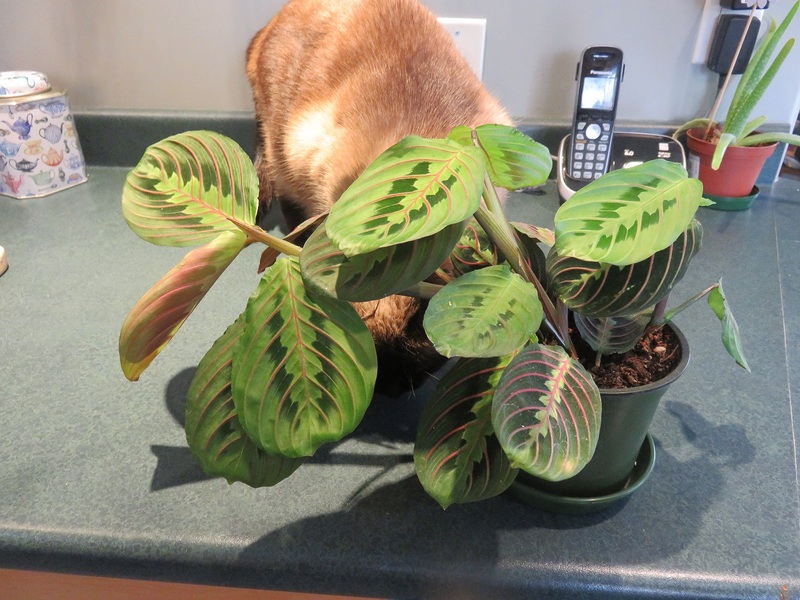 You know Kali, this Prayer Plant needs to be repotted….like now! It’s very root bound. How can I get mom’s attention so she’ll repot this Prayer plant. Is this close enough to the edge of the counter, Kali? I think that did it Shoko, she’s getting the dirt and a new pot. Mom found a baby plant in the Prayer plant and divided it from the big Prayer plant. Now they each have a new home. 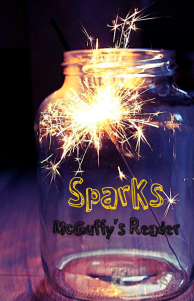 Mondays are McGuffy’s Reader‘s day for spreading some positive thoughts into our environment. 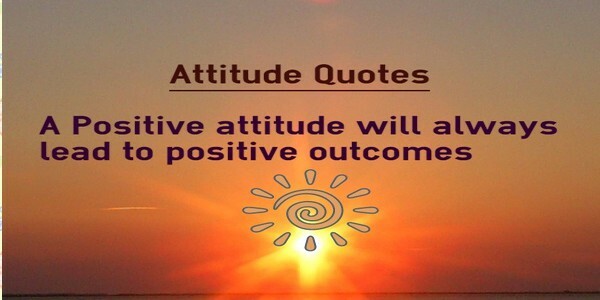 Our positive thought involves the Prayer plant. 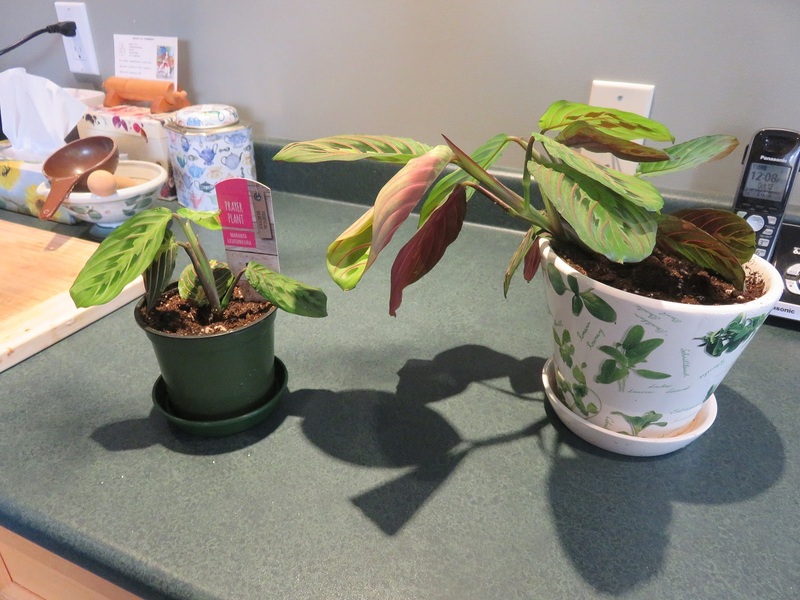 My positive attitude that the prayer plant needed repotting led to mom seeing that the prayer plant did indeed need repotting and her finding a baby plant as a positive outcome. Talk with a stranger as you walk down the street. You may be the first to speak to him all day. This entry was posted in Uncategorized and tagged baby, company, divided, edge, plant, positive, repot, root, street, thought on October 16, 2017 by The Canadian Cats.